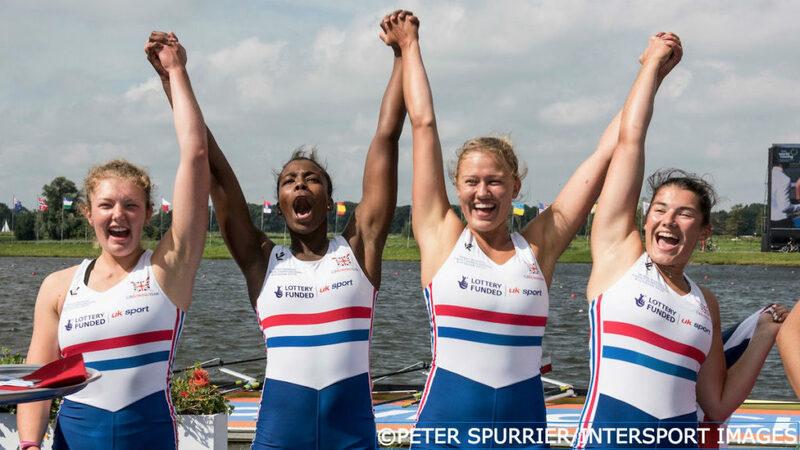 As Women’s Sport Week 2016 concludes, aspiring Olympians Mathilda Hodgkins-Byrne and Holly Hill tell us how the GB Rowing Team Start programme is helping them fulfil their potential. 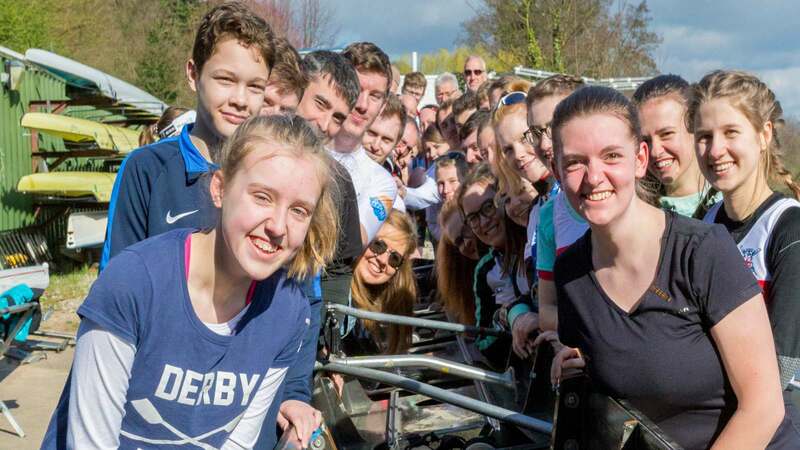 This weekend will see aspiring 2020 and 2024 Olympians gather at the National Water Sports Centre in Nottingham for the second GB Rowing Team Start testing camp of the new season. 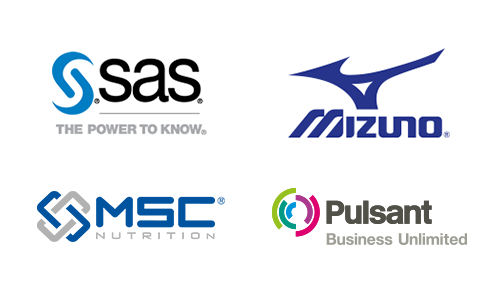 If the rowers are looking for inspiration during the three days of testing, education and bonding, they need only look back at another outstanding summer of success for graduates and current members of the Lottery-funded talent ID and development programme. Helen Glover and Heather Stanning became the first British women to defend their Olympic title when they won pair gold in Rio and Vicky Thornley – a fellow graduate of the Bath Start centre – secured silver in the double scull with Katherine Grainger. 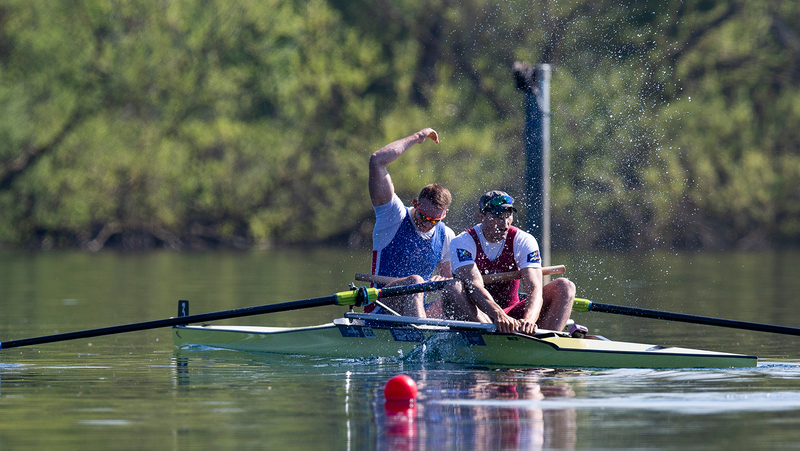 Alex Gregory (Reading) and Moe Sbihi (Molesey) helped GB win a fifth successive gold in the men’s four and Matt Gotrel (Nottingham) stood on top of the podium with the triumphant men’s eight, while Olivia Carnegie-Brown (Reading) and Karen Bennett (Glasgow/Molesey) won silver medals with the history-making women’s eight. It wasn’t only at the Olympics that Start rowers excelled – the combined Senior, U23 and Junior World Championships in Rotterdam, the Netherlands, saw Mathilda Hodgkins-Byrne claim an emphatic U23 double scull success with Jess Leyden. 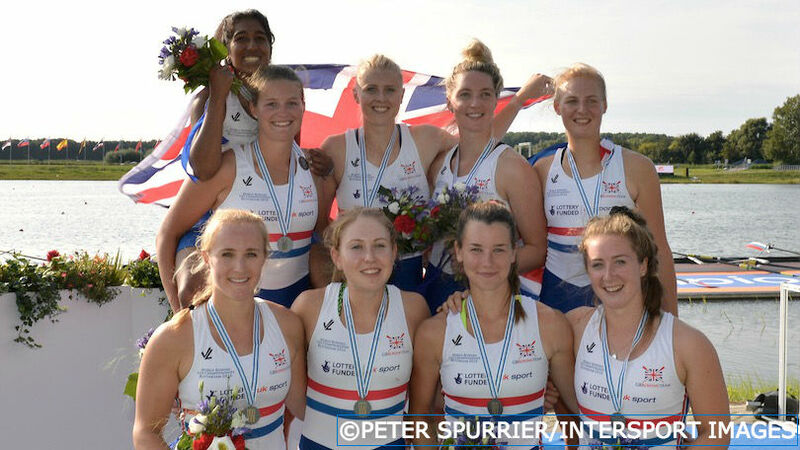 Holly Hill (Cambridge) and Chloe Brew (Gloucester Hartpury) won silver in the U23 women’s eight, as did Sheyi Blackett (Reading) in the junior women’s quadruple scull. Hodgkins-Byrne, who first started rowing as a youngster at Hereford RC before joining the Start programme, is regarded as one of Britain’s most promising young scullers and made her senior GBRT debut during the 2016 season. She credits her time on Start – first with Tom Pattichis at Gloucester Hartpury, then with Dan Moore at Reading – as being a key factor in her development. “Through Start I have been able to gain access to top coaches and support staff,” said Hodgkins-Byrne. “The monthly Start camps meant I was able to test myself regularly against some of the top girls in the country as well as get feedback on technical improvements. It was the gold-medal success of Glover and Stanning at London 2012 that first inspired Hill to give rowing a try – now, just four years later, she is a double World U23 medallist and has represented Cambridge University in the Women’s Boat Race. “I had never rowed before but was so excited by the Olympic performances that I ended up searching for rowing videos online and that’s how I came across the Start Programme,” she said. 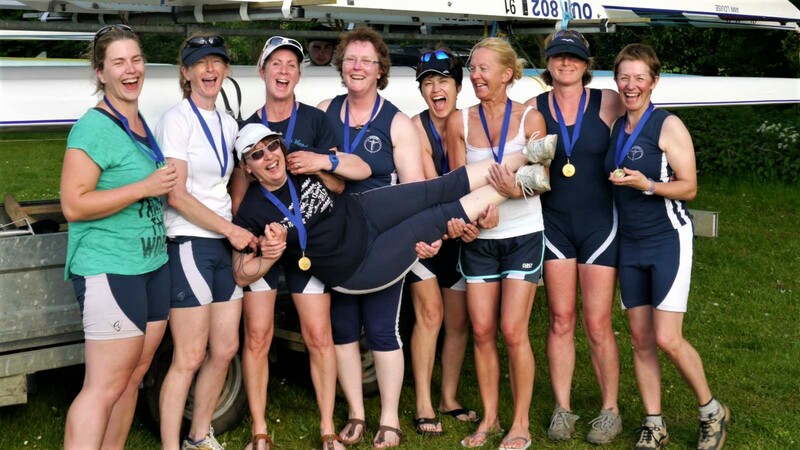 “I applied for the scheme and started rowing in September 2013 when I made it to university. I spent my whole first year with Peter Lee at the Cambridge Start Centre and had a brilliant time, competing at the BUCS [British Universities and Colleges Sport] Regatta and later at Henley Women’s. “I loved the Start scheme because every month I had the chance to race against my former self and see if I’d progressed and what techniques and training practices had been most effective. 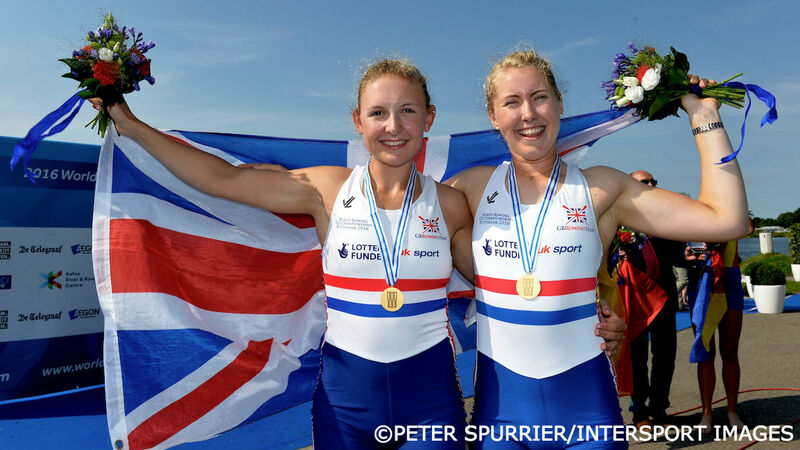 “Thanks entirely to the Start scheme and coaches, the following winter in 2014 I was able to attend my first set of GB Rowing Trials and went on to win my first GB vest in the summer of my second year – racing in the women’s four at the U23 World Championships and winning bronze. “Without the Start scheme there is no way I’d have made as much progress, so I owe the programme for much of the enjoyment that I’ve so far had in the sport. “Having been inspired to take up the sport by former Start athletes like Helen and Heather, it’s been really exciting to watch the progress of Start alumni in World and Olympic races. 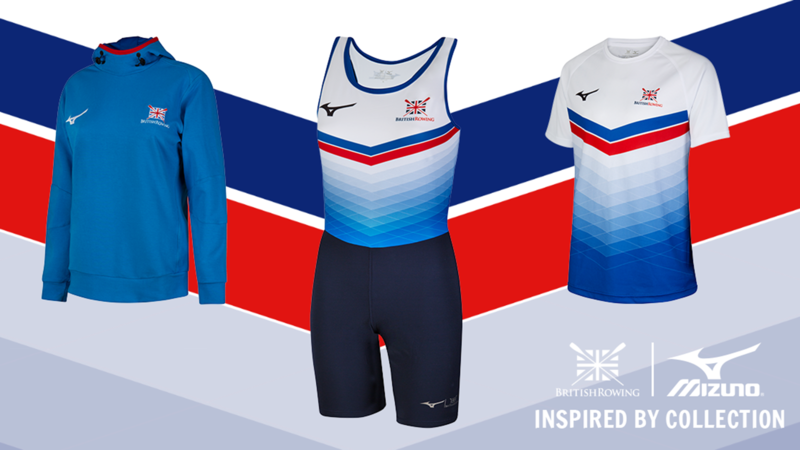 Click here to find your local GB Rowing Team Start centre and learn more about the talent development programme, including the criteria for testing. 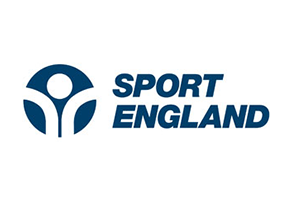 Find out more about Women’s Sport Week 2016 by clicking here.